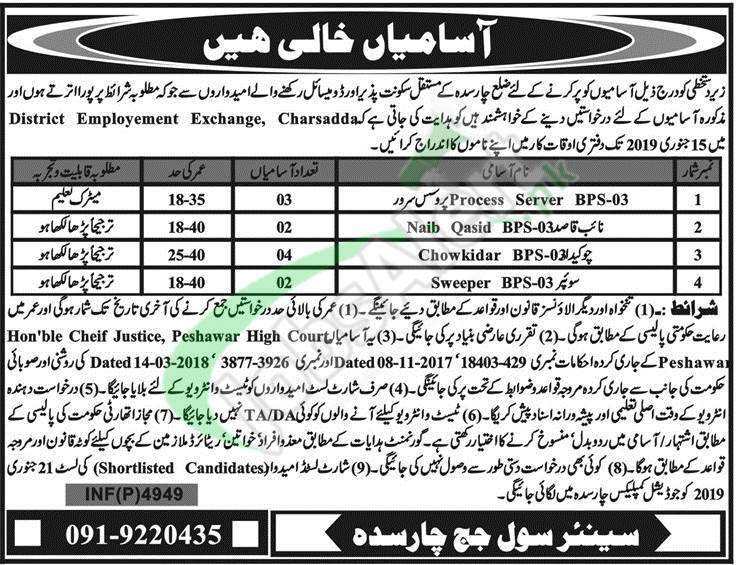 Here you'll get Apply in Civil Court Charsadda Jobs 2019 Latest Vacancies announced for the residents of Charsadda district to have job in government sector. Jobs in Civil Court Charsadda to apply are (Process Server, Naib Qasid, Chowkidar, Sweeper) on contraact basis. Candidates possessing qualification from Matric/Middle and relevant field experience are welcome to apply before the last date 15th January 2019.